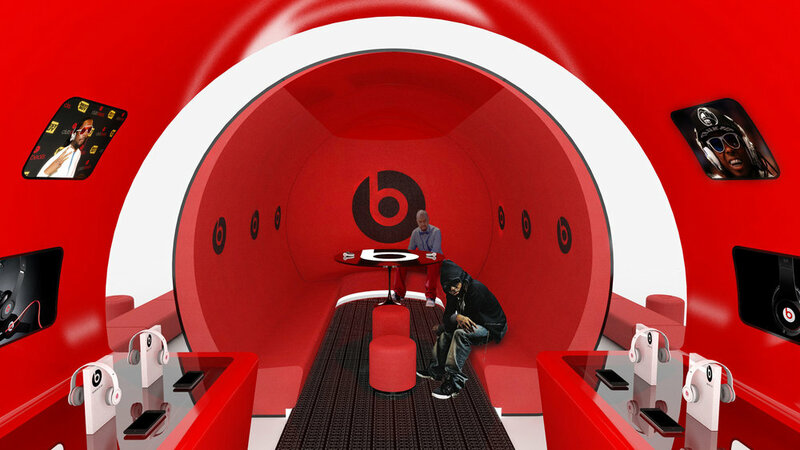 We designed a prototype for a modular pop-up concept space that mimicked the shape of the Pill speaker; the space was customizable to allow Beats by Dre to display their speakers and headphones in various dimensions at trade shows and retail events. 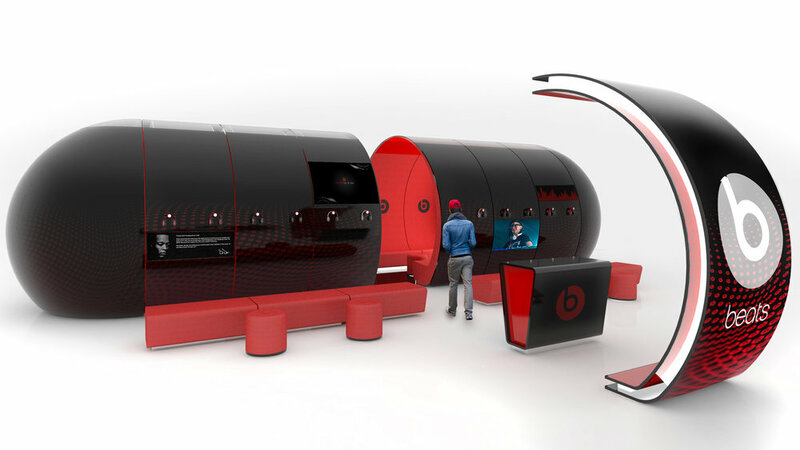 Beats by Dre needed a unique space where they could showcase their products in a variety of retail spaces. 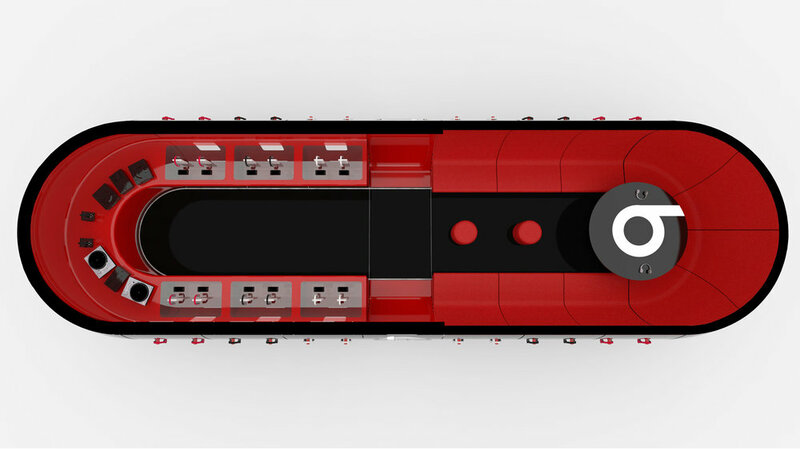 We created architectural drawings, renderings and the prototype for a fully-customizable experiential pop-up that could shrink or expand to fit within different environments.